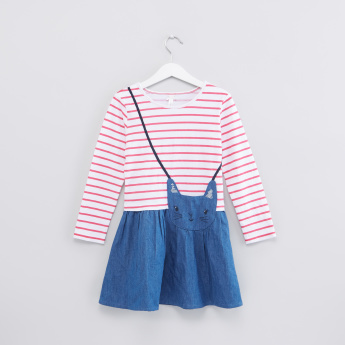 Let your little girl flaunt the fashionista in her by wearing this lovely dress to the next casual outing. It features a round neck and long sleeves that ensure a snug fit and is tailored from quality material. 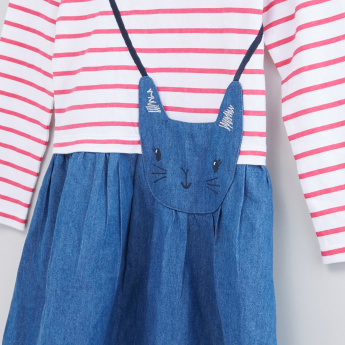 It is a mix and match of stripes, denim and applique detail.